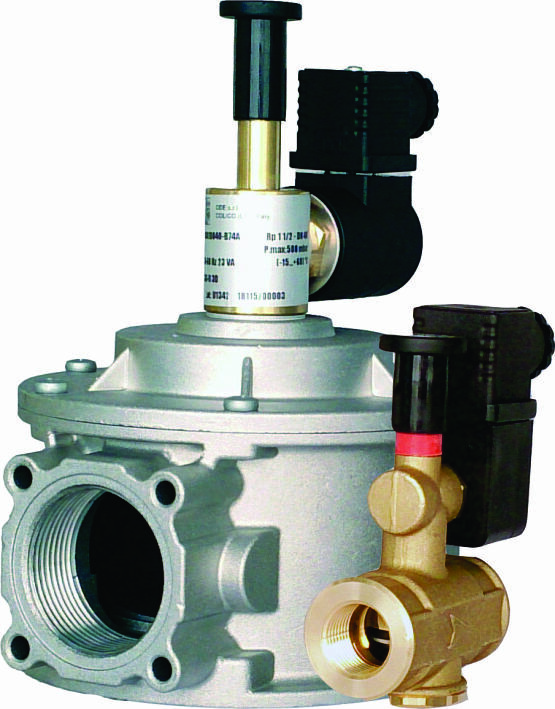 Solenoid valve for gas type MD0 is mainly used as a safety feature for gas ramps. Safety sandards require that valves like these are used with gas sensors. Activated, closed valve is returned to open position manualy exatcly for safety reasons. Functioning of this valve is very simple, aside from maximum safety. When powered, releasing piston that closes the valve. Piston is returned to open position manually because of safety. Copyright © 2012 TRIEM.RS, BERGRADE, SERBIA, ALL RIGHTS RESERVED.